Impact assessments confirm that the Group’s construction and operating activities not only boost development in the areas crossed by the network, but also enhance their economic and tourist value. APRR’s investments in developing and modernising the motorway networks generate economic activity in the short term. 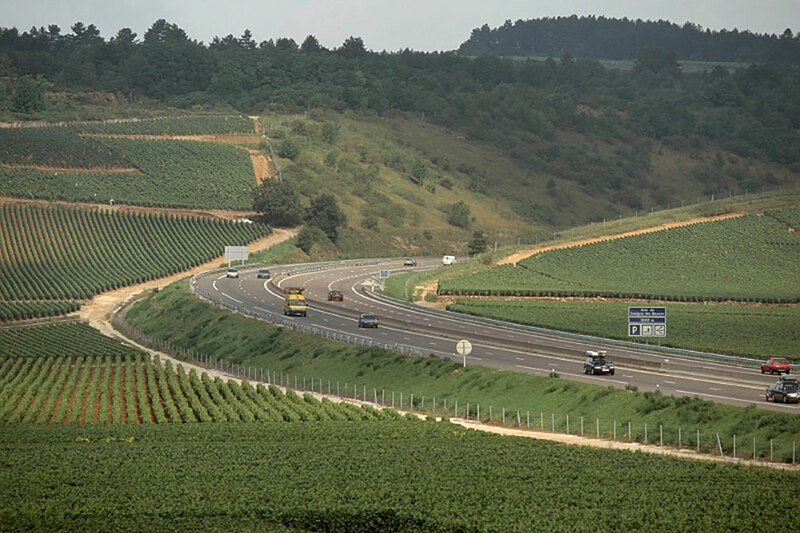 By connecting communities to the major French and European road corridors, the networks enhance their accessibility, supporting local growth. Every kilometre of motorway has a very positive effect on the local economy. This is clearly illustrated in the impact assessment for the construction of the A39 motorway. The construction site generated 770 direct jobs over 4 years, and 42% of the work (by value) was carried out by local or regional contractors, in turn generating local expenditure. Employees assigned to the motorway construction site injected €24 million into the local economy, through spending on accommodation, retail purchases, restaurants, fuel stations, etc. Lastly, land and business taxes paid by APRR to local authorities represent significant contributions to local economies. During the construction phase for the A39, a total of €26 million in local taxes were paid. Operating a motorway has a positive economic impact for local authorities and businesses over the medium and long term, with benefits including the development of business parks, the arrival of new businesses, local taxation, increased hotel capacity, etc. Multiple sectors report increased business in areas such as tourism and hospitality, manufacturing and logistics. Over a period of 10 years, no fewer than 83 business parks have been developed near junctions along the 176 km A71 motorway. Choosing a site near a motorway junction stimulates the development of businesses. When growth eases, this proximity mitigates the slowdown in activity. In the large urban areas served by the APRR and AREA network, declining employment has been much more limited in communes located within 5 km (or 8 minutes) of a junction. Clearly, APRR is a significant partner for employment policy, helping to create direct jobs within the Group and with contractor partners. The Group also helps to generate indirect jobs in motorway development and management. Lastly, APRR bolsters local jobs generated by subcontracting (in safety and security, facility maintenance, troubleshooting, motorway services, etc.). APRR attaches great importance to enhancing natural spaces located near motorways, preserving their identity and highlighting historical and architectural heritage. The so-called “1% landscaping and development” Act passed in 1995 calls for the redevelopment of secondary roads, which are used less when a motorway is built nearby. In the case of the A39 motorway, APRR invested €4.5 million in projects to enhance the local area, redeveloping the approaches to towns and villages, restoring property and heritage assets such as town halls, bell towers and wash-houses. APPR operates a local development policy centred on enhancing cultural and tourist heritage. At service areas, APRR promotes awareness of regional specialities. At the Poulet de Bresse area on the A39, premium chicken farmers sell their prized produce. 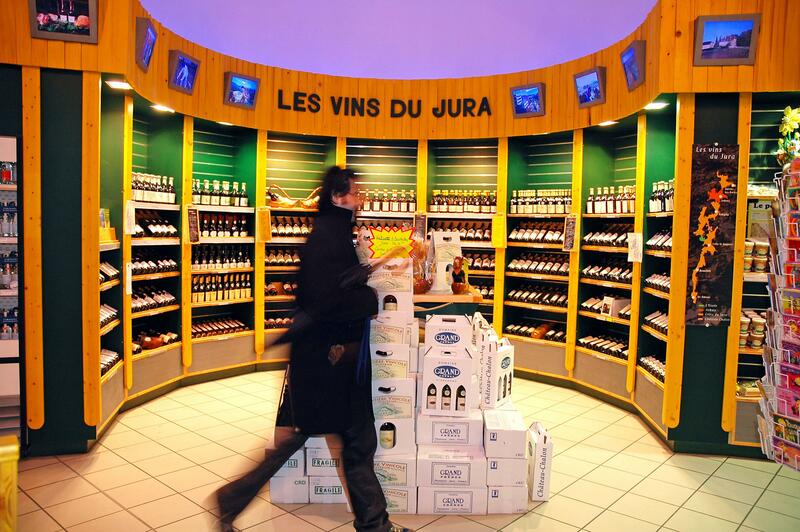 Similarly, locally produced wares such as wood, eyewear and optical instruments are sold at the Jura area on the A39. 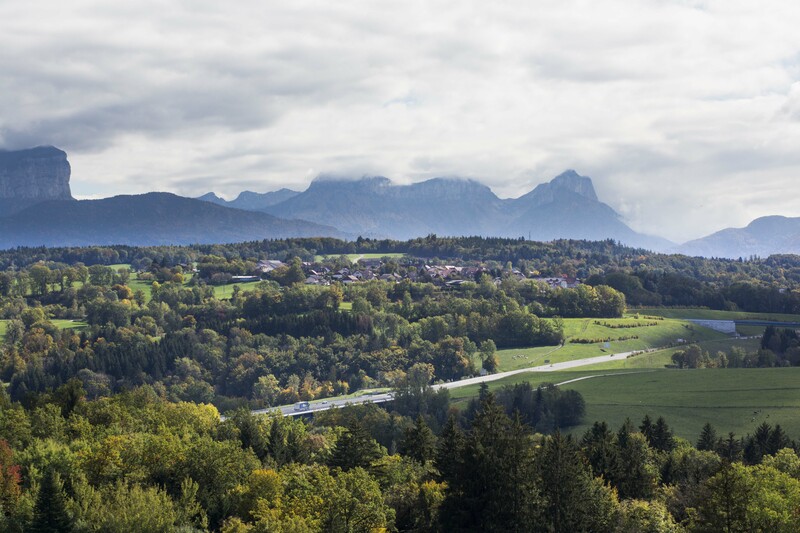 On the A77 motorway, the Jardin des Arbres area was designed to highlight the region’s exceptionally rich woodland. This area acts as a shopwindow for the Arboretum National des Barres in Nogent-sur-Vernisson, 5 km from the motorway. 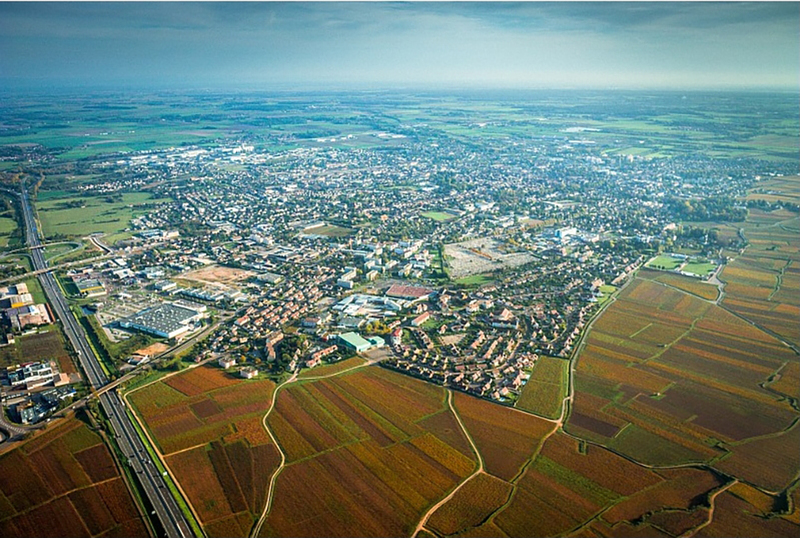 APRR has entered into a partnership agreement with the Burgundy region via its “Destinations” scheme. Under the terms of this agreement, APRR is to install new cultural and tourist road signs to promote the area’s heritage. By this means, the Group contributes to the development of the local economy. 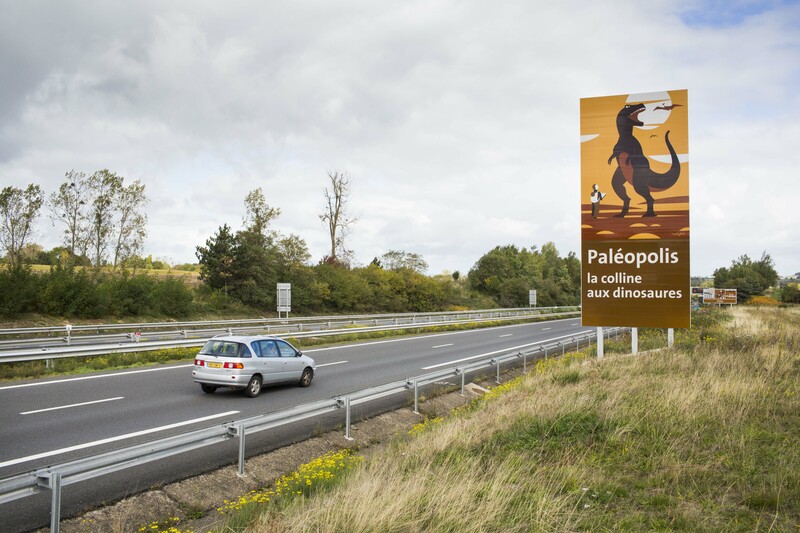 APRR has launched a sweeping roadside sign replacement project with the theme of “turning the motorways in the APRR & AREA network into an open-air art gallery”. Studying the 600 existing signs revealed shortcomings in terms of their legibility and universal appeal. Well-known illustrators were then commissioned to give them a new graphic thrust. These included Ted Benoit and Floc’h, along the A6 Nord, Zoé on the A31, and Matthieu Forichon on the A77. As a concession operator, APRR is subject to statutory obligations under the LOTI Domestic Transport Act. Before final approval can be issued, large infrastructure projects must be subjected to a forward-looking assessment of their economic and social effects and their consequences for the environment.